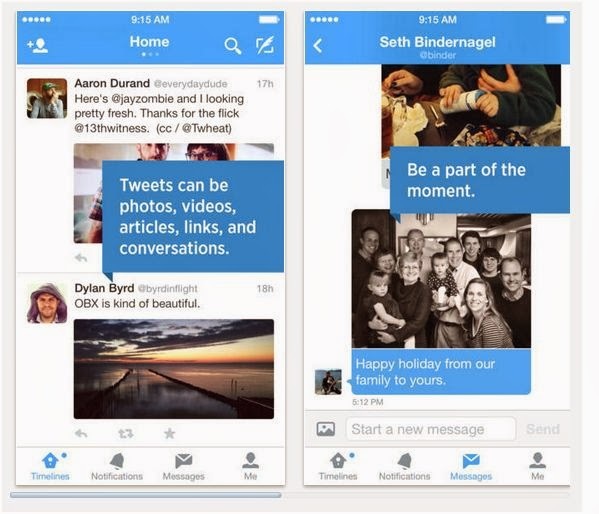 Twitter a makeover to its messaging to remain competitive with its rivals. Users can now send and receive photos DM (Direct Message). Now, Twittos will be able to send and receive photos, private messaging in the microblogging site. The site has indeed updated, its iOS, Android and Web applications, including TweetDeck on Chrome OS and PC (send photos in DM is not yet available on the web). On the other hand, the new interface allows easy access to private messages with a new tab. The design has also been reworked. While there had been talk recently deleted this email, Twitter officials have so eventually opted for a different strategy is to improve, to try to compete with rivals such as Snapchat, WhatsApp or Viber, private messaging being a means of keeping its users. So that all the news are visible in the new version (which is not necessarily the case), the user can close the application and clear the cache ("Settings" then "Applications Downloaded").